With an enchanting blend of magical realism, politics, and romance reminiscent of her classic bestseller The House of the Spirits, Isabel Allende presents a soul-baring memoir that seizes the reader like a novel of suspense. 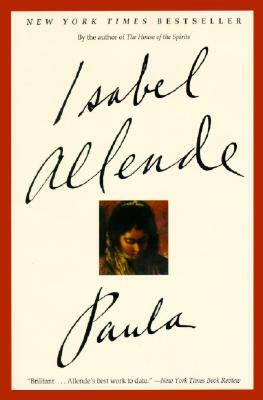 Written for her daughter Paula when she became ill and slipped into a coma, Paula is the colorful story of Allende's life -- from her early years in her native Chile, through the turbulent military coup of 1973, to the subsequent dictatorship and her family's years of exile. In the telling, bizarre ancestors reveal themselves, delightful and bitter childhood memories surface, enthralling anecdotes of youthful years are narrated and intimate secrets are softly whispered. In an exorcism of death and a celebration of life, Isabel Allende explores the past, questions the gods, and creates a magical book that carries the reader from tears to laughter, from terror to sensuality to wisdom. In Paula, readers will come to understand that the miraculous world of her novels is the world Isabel Allende inhabits -- it is her enchanted reality.